There’s just something about birth announcements. A fresh new baby. A new start. The little face. The tiny toes. I just can’t handle it! The fact that this is our last baby really has me feeling all the feels! I finally sent out all of Annabelle’s birth announcements so it’s time to share them with all of you. I turned to Tiny Prints via Shutterfly for these and they came out so so good. The little details are amazing. The gold polkadots are my absolute favorite. I love sharing the sibling photo and family photo on the back. Every detail is just perfect. Aren’t they gorgeous? I even had stamps made to match…because they were just so cute! Shutterfly also addressed all of the envelops for me….which made getting them out in the mail so much easier! And I love how neat and professional they look. I know I will cherish these announcements forever. I can’t wait to put them in her baby book! Now I just need to actually write in that baby book! Life with three is a little busy! 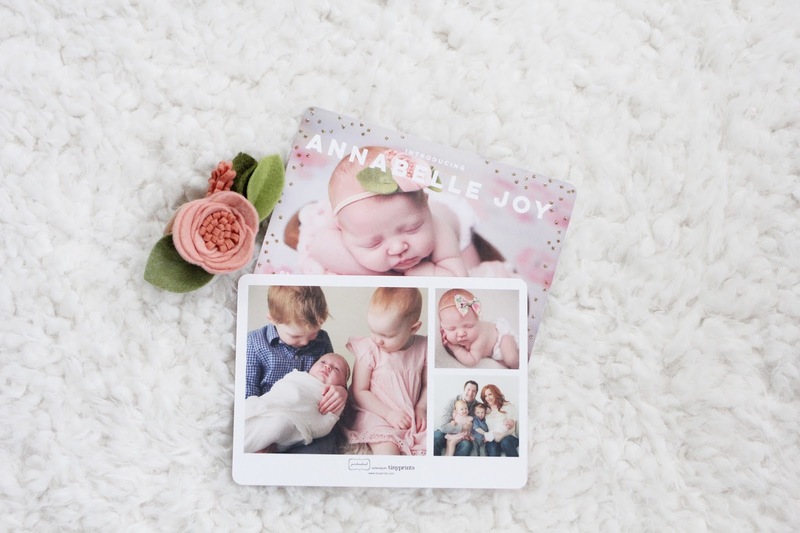 You can view all of the Tiny Prints for Shutterfly birth announcements here. I was provided with these announcements for the purpose of this post, but all opinions are my own. « Girls Just Want to have Tea Parties! 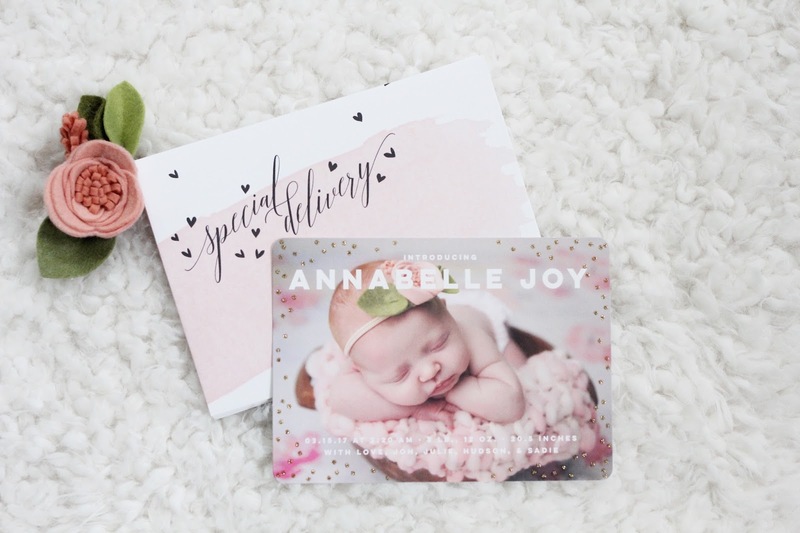 These birth announcements are lovely and your baby is precious! I had no idea you could get stamps made to match…it adds the perfect touch. She is too cute! Love these! These birth announcements are so adorable! You have a beautiful little girl, congratulations on the new addition! oh that card is amazing!